Today (11 October) is Ada Lovelace Day, an international celebration of the work and achievements of women in science, technology, engineering and maths. 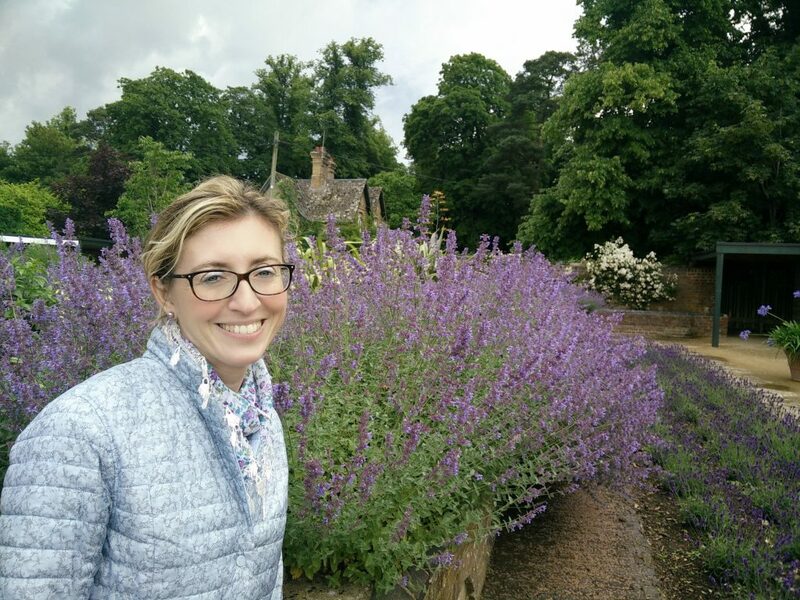 To celebrate and showcase the work of the amazing women in dementia research, we caught up with Elena Di Daniel who is Head of Biology at the Alzheimer’s Research UK Oxford Drug Discovery Institute (DDI). Elena received her PhD in Biology from University College London working on the mechanism of action of mood stabilizing drugs, and has accumulated over 15 years’ experience in the pharmaceutical industry working with GSK, Takeda and UCB on bipolar disorder, schizophrenia and Alzheimer’s disease. Elena has led teams of scientists responsible for target validation and the initiation of early drug discovery projects and the introduction of stem cell technologies for neuroscience research. Why did you choose to become a dementia researcher? My early passion was actually Classical Studies, my favourite subjects at school being Latin and ancient Greek. I found it extremely rewarding to read an almost incomprehensible text and make sense of it! However, I had the hope to have more of an impact on society, especially applying science to cure disease, so made the decision to study science at university. My first research position was in neuroscience. I was drawn to study the complexity of the brain and I wanted to be part of uncovering its secrets, much like translating those old, previously incomprehensible texts. An opportunity arose to study the role of nerve growth factor in Alzheimer’s disease with the successors of Rita Levi Montalcini (who discovered nerve growth factor) in Trieste, Italy, and this was my first introduction to neuroscience research. I then moved to the UK to accept a position in the pharmaceutical industry at GSK, then subsequently at Takeda and UCB. I was proud to have helped to introduce several neuroscience targets into the portfolios of these companies and helped to progress these projects through the early stages of the drug discovery process. The Alzheimer’s Research UK DDI is a hugely exciting initiative. The scale of the problem of dementia is hard to understate and I wanted to be a part of finding a solution. Finding treatments for any disease is hard, especially when it involves an organ as complicated as the brain. The great potential of an institute such as this one is the fantastic access to the ‘melting-pot’ of academic research combined with the funds and long-term vision to focus entirely on turning these discoveries into treatments for dementia. What does your research focus on? My research focuses on three major mechanisms implicated in Alzheimer’s: neuro-inflammation, the breakdown of proteins and the health of nerve cells. My goal is to choose promising drug targets that might lead to treatments that can slow, halt or reverse the damage in the disease. We work to validate these targets in systems that resemble the human disease as accurately as possible. My group then focusses on setting up experiments that allow us to screen and develop drugs that modify these mechanisms. Why is this area of research important? Dementia is a widespread, complex condition caused by a range of different diseases. We still have a lot to learn about each of these diseases. By focusing our efforts on the most promising avenues of dementia research, we can accelerate the discovery and the development of drugs that ultimately could allow us to fight these diseases. Have you ever done any fundraising for ARUK? I have just completed my first fundraising activity for Alzheimer’s Research UK! In the past I have enjoyed working in charity shops, but decided to try something more active this time. Although running doesn’t come naturally to me, I ran the Oxford Half Marathon on the 9th October in just over 2h 30 min. The sunny morning and the great atmosphere were invigorating, and I found it very emotional to see so many people running in memory of loved ones and supporting different charities. I am delighted to have added a little contribution to Alzheimer’s Research UK, who I am very proud to be working for. During my PhD I worked to understand the mechanism of action of mood stabilising drugs. Unravelling some of the molecular mechanisms that could explain the actions of these drugs, and as a consequence, identifying potential new targets, was a hugely rewarding experience. Now however, the challenge of leading a team that helps to translate some of the most exciting academic research in dementia into drugs that could benefit patients is by far the highlight of my career. What advice would you give female scientists like yourself who are interested in working in dementia research? My advice to young female scientists is to get more exposure to the scientific community. I have in the past been shy and hesitant myself. I think that some women are held back by their own perceptions because we often see what we cannot do rather than what we have achieved. Now I like to think: well has anyone cured Alzheimer’s disease yet? So let’s just go for it. What do you think is the most promising area of dementia research at the moment? The areas of research I feel are most promising are those looking at the aspects of the disease that occur 10 or 20 years before the damage starts, such as changes in cell shape and activity, and the areas of our research into the role of the immune system, protein breakdown and connectivity between nerve cells. Nevertheless, working at the DDI gives us freedom to follow the most promising discoveries in dementia research, and I feel it is important to stay open-minded, so we can capitalise on all opportunities that may arise. I cannot live without music. I love singing in choirs (and around the house) as it gives me the chance to stretch the vocal cords. I also play the piano and am pushing myself to practice more. Oxford is a wonderful place for music so I’m enjoying the many concerts at the moment.